I have pre-ordered an Oculus Rift headset – what now? You will need to create an Oculus ID. Simply complete their registration form to do so. You will also need to create a Valkyrie callsign, which you will be prompted to do when running the game for the first time. We also encourage you to create a forum account to participate on the official EVE: Valkyrie forums. What is a Valkyrie callsign? A callsign is a Valkyrie pilot’s in-game name. Along with your chosen avatar, it is how you will appear in the forums and how your performance will be displayed on the leaderboards. Can I change my Valkyrie callsign? PSVR users cannot change their Valkyrie callsign, as it must be the same as their PlayStation ID. Steam or Oculus Home users who have made a capitalization or typo error with their callsign, or do not wish to use their Oculus or Steam IDs as their callsign, please submit a support ticket and requests will be reviewed on a case by case basis. CCP Games will only allow a one-time change per for each user. Please note that there are some callsign limitations, in that you cannot prefix your callsign with CCP, GM or ISD. Must my Valkyrie callsign and Oculus ID be the same? No, these can be different if you prefer. It’s also a good idea to message customer support with the email you have used to register your Valkyrie account. Is my callsign different to my forum name? It can be. Having a forum username does not reserve your in-game callsign. Your forum name and in-game name can be different. If you wish to dispute someone else using your in-game callsign as their forum name please send us a support ticket. I was in the alpha - what about my alpha or pre-alpha callsigns? Alpha and pre-alpha callsigns are yours to keep. When new accounts choose a callsign that’s already in use, preference goes to pre-existing players. I want the same name for everything, how does this work? Once you have made an Oculus ID, this cannot be changed, so if you want the same name you’ll need to change your Valkyrie callsign to match. Valkryie callsigns are limited to 16 characters and longer Oculus ID’s (which can be up to 20 characters) with be truncated down to 16 characters, so we recommend keeping it short and simple. 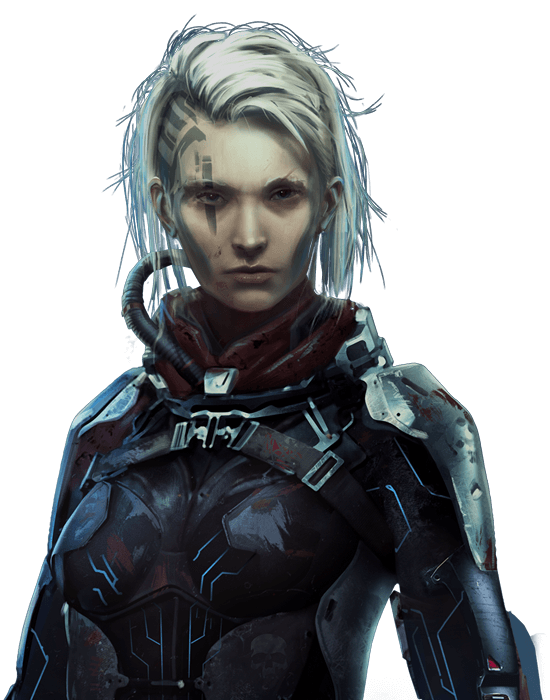 In EVE: Valkyrie, you are an elite space fighter pilot who has recently become immortal, thanks to the efforts of Rán Kavik, leader of the breakaway pirate group known as the Valkyrie. As a newly-recruited member of the Valkyrie, you will battle rival pirate factions for wealth, supremacy, and notoriety. Virtual reality offers the simulation of real or fictional environments using specialised wearable computer hardware to give users the illusion of being in another world. Core to the virtual reality experience is complete user immersion, including 360-degree visuals generated by a head-mounted display. 2016 saw the dawn of the virtual reality revolution, with high quality but affordable VR headsets being released to consumers for the first time. How can I play EVE: Valkyrie -Warzone? Yes, Warzone is designed to be perfectly balanced and playable on a flatscreen as well as in VR on both PC and PS4. To play EVE: Valkyrie on Oculus or Vive you will need a consumer Oculus Rift or HTC Vive headset and your PC will need to meet the minimum system requirements. To play EVE: Valkyrie on your PS4 in VR, you will need a PlayStation VR headset. What controllers or joysticks are compatible with EVE: Valkyrie - Warzone? Xbox 360 and Xbox One controllers for HTC Vive and Oculus Rift. On Playstation we support the Thrustmaster T-Flight HOTAS. We also offer mapping for steam controllers, and are currently in beta for Oculus Touch controllers. For more information please visit our help center. EVE: Valkyrie on PSVR supports the PlayStation DUALSHOCK®4 and the Thrustmaster T.Flight HOTAS 4. Users can change settings in-game with compatible joysticks by going to Main Menu -> Settings -> Gameplay -> Keybinding. Will EVE: Valkyrie - Warzone support the Vive Motion Controllers? We are huge fans of room-scale and motion controls in VR, but EVE: Valkyrie has been designed as a seated gamepad/HOTAS game, where your hands are shown grasping the yoke of a spaceship. We experimented with ways to incorporate motion controls but ultimately felt the resulting experience was not up to our standards. So we have chosen not to include support for the Motion Controller. What are EVE: Valkyrie’s - Warzone's officially supported PC hardware specifications? * Note: CCP cannot support EVE: Valkyrie on development versions of pre-release VR hardware, including the Oculus Development Kit 2 or HTC Vive Pre. Can I play multiplayer games with people who don’t have the same VR headset as me? EVE: Valkyrie’s players can join multiplayer games irrespective of the VR platform on which they're playing. All EVE: Valkyrie players can fly together and die together regardless of whether they use a PlayStation VR, Oculus Rift or HTC Vive. Keep your eyes peeled in the clone vat - you’ll be able to spot them as they launch alongside you! Unfortunately, cross-platform voice chat and squads are not possible, please check our Help Center article on squads for more details. Where can I order an Oculus Rift, HTC Vive or PlayStation VR hardware? You can order the Oculus Rift from the Oculus store and the HTC Vive from the HTC Online Store. For more information on PlayStation VR visit Sony's official site. I own an Oculus DK2 - can I use this to play Valkyrie - Warzone? CCP Games has developed EVE: Valkyrie to be the most cutting-edge virtual reality experience available on any platform. To achieve that level of graphical fidelity, game performance, and player experience, we have aggressively targeted the recommended hardware specification for Oculus Rift consumer version. Without both an Oculus Rift consumer headset and a VR-ready computer, the game will not perform as expected, and some features may not work at all. At this time, there is nothing preventing owners of the Oculus Rift Development Kit 2 from purchasing EVE: Valkyrie. Like other PC games, EVE: Valkyrie has official supported specifications, and CCP will only support customers who meet them. For clarity’s sake, this means that if you purchase the game to play with your DK2 and have technical problems, we will not be able to support you. We leave it to each individual player to understand and accept these specs, and we do not recommend (or officially support) playing the game any other way. Please understand that this could change at any time, and EVE: Valkyrie could cease to be compatible entirely with the developer versions of Rift. I have my Oculus Rift headset - how do I access EVE: Valkyrie? If you pre-ordered the Oculus Rift, you will receive an email from Oculus with your EVE: Valkyrie Founder's Pack redemption code. Use this code to download and play EVE: Valkyrie through Oculus Home. The first time you run the game, you will need to link your Valkyrie account with your Oculus Home account. If you do not yet have a Valkyrie account, you will be prompted to create one. From then on, you simply launch the game from within Oculus Home. I have my Oculus Rift Founder’s Pack code – how do I redeem it? Navigate within Oculus Home to Settings > Redeem Code. Enter the Founder’s Pack code in the text field. At this point you will be prompted to install EVE: Valkyrie. Once ready, launch the game. You will need to link your Oculus ID to an EVE: Valkyrie account. This is a one-time process and you will be guided through it. I pre-ordered my Oculus Rift and have an unused Founder’s Pack code for EVE: Valkyrie – how do I redeem it? What was the EVE: Valkyrie Founder's Pack and can I purchase it separately? The Founder’s Pack for EVE: Valkyrie has been retired. It granted players access to a selection of time-limited and visual customization content for their profile in-game and on our forum. You can still unlock paint jobs, XP boosters and other optional ship customizations with the currency you earn in-game. Will there be any physical distribution of EVE: Valkyrie - Warzone? There are currently no plans for physical distribution of the Warzone expansion. How many gigabytes is the EVE: Valkyrie - Warzone download? The game is around a 20gb download on PS4 and 30GB download on PC. You may need a little extra hard drive space free to install the client on PC. Will there be patches and updates? Yes – CCP Games is committed to update EVE: Valkyrie post launch with new features, events and content. Our recent big update, Carrier Assault mode, is free, and additional free content will be made available to all owners of EVE: Valkyrie throughout the game’s lifetime. We will announce dates on future content releases as we progress with development. We will also continue to optimize the game as a live service from launch onward. Will there be paid DLC? Content updates like new maps, new ships, and new gameplay additions (like our Gatecrash and Wormholes updates) will be free to anyone who purchases the game. Furthermore, we plan to continue to add features to the game long into the future, at no additional charge. Will EVE: Valkyrie go free-to-play? EVE: Valkyrie is a premium experience, supported by multiple free content updates and wholly optional in-game microtransactions to customize your experience. I have a technical issue, and I think it’s related to my VR setup – where do I go? For Oculus Rift, please visit Oculus' customer support. For HTC Vive, please visit HTC's customer support. For PS4 and PSVR, please visit Sony's customer support. Should you have any problems arise that we can assist with then please visit customer support portal here or contact us via support@evevalkyrie.com. Please contact us using the email address associated with your Valkyrie account. What is EVE: Valkyrie - Warzone? EVE: Valkyrie - Warzone is the new, major expansion to EVE: Valkyrie which launches on 26 September 2017. For more information read this blog. Will there be more modes added in the upcoming EVE: Valkyrie - Warzone expansion? Yes, the Warzone expansion will also feature two new maps – ‘Fleet’, a Sisters of EVE space station, and ‘Outpost’, a mysterious Drifter base – that will bring even more aspects of the rich EVE Online universe to the world of the EVE: Valkyrie. The Warzone expansion also introduces an exhilarating new game mode, ‘Extraction’, which mixes combat and navigational challenges, forcing pilots to use the environment to their advantage. Will I be able to play EVE: Valkyrie - Warzone without a VR headset? Yes, the Warzone expansion is designed to be perfectly balanced and playable in both VR and flatscreen on PC and PS4 equally. Is the flatscreen version of EVE: Valkyrie - Warzone different to the VR version? The Warzone expansion is a single game that supports both VR and flat screen play across PS4 and PC. The game has been modified to support flatscreen users and therefore handles and plays slightly differently than it does in VR. Nevertheless, all in-game content – including maps, ships, modes, progression etc. – is exactly the same, and all of our users, regardless of mode or format will be on battling on the same servers. Can EVE: Valkyrie - Warzone be played with a Keyboard and Mouse? Yes, the Warzone expansion brings keyboard and mouse support. We will be working closely with our community to fine tune this configuration following any feedback we receive. What joysticks or controllers will EVE: Valkyrie - Warzone support? Do either flatscreen or VR players have a competitive advantage? Our aim is to ensure complete parity between different versions of EVE: Valkyrie - Warzone across different controller input methods. We’ve been conducting extensive balance testing throughout Warzone’s development and we’ve found that there are strengths and advantages to each style and control scheme that compensate for each other. Rest assured we will be working closely with our community at launch and beyond to ensure the experience is fair and competitively comparable. Will flatscreen and VR players be able to Squad up? Yes, provided the players are both using the same platform e.g. a HTC Vive player can squad with a flatscreen Steam player; a PS4 players can squad up with a PSVR player via PSN). Can I squad up with my friend on a different platform? The list of available pilots for a squad is restricted by the platform being played on. For example, PS4 players may only squad up with other PS4 players. However, all pilots will be playing on the same servers, providing true cross-play between PS4, PSVR, PC, HTC Vive and Oculus Rift. Can I transfer my existing account over to Warzone? No need, all existing owners of Valkyrie will be automatically upgraded to EVE: Valkyrie - Warzone. I'm a previous EVE: Valkyrie VR owner. Do I need to create a new account to play the flatscreen version? All existing owners of EVE: Valkyrie will be automatically upgraded to EVE: Valkyrie - Warzone at no additional charge. Will the old version of EVE: Valkyrie still be available once the EVE: Valkyrie - Warzone expansion is released? EVE: Valkyrie - Warzone is a mandatory free game upgrade for existing players. Once released, the original version will no longer be accessible. If I own EVE: Valkyrie on one of the supported platforms (HTC Vive, Oculus Rift, PlayStation VR), will I be able to access the game on another supported platform for free, or will it require an additional purchase? An additional purchase will be required to play EVE: Valkyrie – Warzone on an extra platform, as an account sold specifically for a determined platform will not be able to log-in to a different platform. For example, Rift credentials will only work on Rift; the same goes for PS VR and HTC Vive. Please note that any codes for in game items such as War Chests (Gold) are also platform specific. We are currently in beta for Oculus Touch controller support. For more information, please visit our help center. If I own EVE: Valkyrie on two different platforms, can I transfer my Founders Pack flightsuit, avatars and other items between accounts? No, the contents of the EVE: Valkyrie Founder's Packs are tied to your unique, individual purchase of the game for that platform. No transfers between platforms of in game currencies, callsigns, XP, content, or anything else is available. What will happen to my Gold and Silver and how will the new Warzone economy change my Pilot? Do I need PS Plus to play EVE: Valkyrie - Warzone on PlayStation 4 or PlayStation VR? We strongly recommend that PlayStation players have PS Plus so that you can enjoy EVE: Valkyrie’s online multiplayer gameplay. PlayStation players without PS Plus will not be able to enter the multiplayer menus so they are excluded from our PvP and Co-op modes, as per the platform’s requirement. How much will EVE: Valkyrie - Warzone cost to purchase? Do you intend to make EVE: Valkyrie – Warzone available on a disc? Yes, the Warzone expansion brings keyboard and mouse support which we will be working closely with our community to fine tune this configuration. How do I switch between 2D and VR on PS4? Settings → Graphics → VR Toggle. At present, on PC, switching modes requires you to restart the game. If I own EVE: Valkyrie on two different platforms, can I transfer my flightsuit, avatars and other items between versions? The EVE: Valkyrie Founder's Pack's are unique, individual purchases of the game for each platform and no transfers of in game currencies, callsigns, XP, content, or anything else is available. Do I need PS Plus to play EVE: Valkyrie - Warzone ? We strongly recommend that you have PS Plus so that you can enjoy the online multiplayer of EVE: Valkyrie. Players without PS Plus will not be able to enter the multiplayer menus so they are excluded from Co-op and PvP mode. This is a requirement from Sony. Is that flat screen version of EVE: Valkyrie - Warzone different to the VR version? The Warzone expansion is a single game that supports both VR and flat screen play across PS4 and PC. The game has been modified to support flat screen users and therefore handles and plays slightly differently than it does in VR. All game content including maps, ships, modes, and progression is exactly the same, and all of our users, regardless of mode will be on battling on the same servers. Where can I find the forum guidelines? The EVE: Valkyrie forum abides by the same general principles as other EVE Online forums and are a useful reference on the mindset with which CCP approaches forum moderation and what standard of behavior we expect within our community. See our policy page for more on this. Are the forums monitored by CCP? All sections of the official forums are monitored by their respective developers and are moderated by both developers and ISD. For more information on ISD, go here. I want to add my friends on the forum - how do I do this? You can do this via the preferences section on the forum. Note that forums friends are distinct from Oculus home. I think I found a bug, how can I let the developers know? Please submit all bugs in the Bug Report category on the forums, and follow the guidelines for submission. You can also file a ticket via the customer support portal. I’m on the forum and I want to give game feedback - how do I do this? Please go to the Feedback and Ideas category and check to see if the idea has been posted before, using the search function at the top of the forum. Reposts will be routed to the active thread so the discussion can stay in the same place. Adding information regarding your idea in the topic helps other players who may have similar ideas. Topics named things like "An idea" or "Does anybody think...." aren't as easy to find for players who may have similar requests or ideas. Can I tag my posts? You can also tag your idea using the window above the 'Create Topic' button so that players and developers can easily sort posts or find the feedback they are looking for. I have a business or event enquiry, who do I contact? Please submit a community ticket via the online portal.